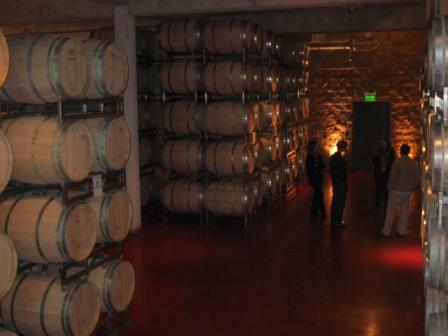 Saturday, Emir arranged a day-long tour of four bodegas in the province of Mendoza. This journey was tailored to our time and tastes, and the price was also reasonable for a personal driver. Gabriel took us to four wineries–Carinae, Ruca Malen, Familia Zuccardi, and La Rural. Carinae was our group’s favorite bodega–intimate and welcoming. The bodega is small and produces quality wines. For a tasting menu lunch, definitely schedule a time at Ruca Malen. Its dining room faces the snow-capped Andes. San Telmo Loft lists some other recommendations for dining in Mendoza. Even if you decide to stay elswhere than Bohemia, arrange a night for a personally cooked dinner by professional chef Emir. He created savory courses of crepes filled with spinach and sun dried tomatoes covered in a light, white sauce; stuffed pasta shells with a reduced tomato sauce for the vegetarians; stuffed chicken breast with spinach; and chocolate mousse. He also suggested several local wines with our meal. After dinner, we drank more wine and scotch in the comfortable living area, with lit candles and samba music lulling us to an early sleep. 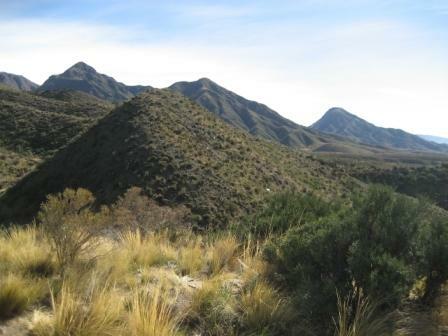 Sunday we took a hike through the foothills of the Andes with a guide. Mendoza is an excellent place for skiers, hikers, rafting enthusiasts, or foodies. While a city, Mendoza felt sleepy to me, especially with how quiet the streets are at night. Part of the city’s charm is the trees that line the streets, arching over like protective angels. Take a long walk around the five plazas in the center of the city–Plaza de Chile, Plaza Italia, Plaza Espana, Plaza San Martin, and Plaza Independencia (centered in the middle). Professional writer and foodie Rebecca Caro has an excellent introduction to Mendoza at From Argentina with Love. While wine stores abound in Mendoza, stop by at least one bodega, as bottles are cheaper there as opposed to buying them in Buenos Aires or back in the U.S. Malbec is king in Mendoza, but take a chance on other varietals. Our friends found some admirable chardonnays. 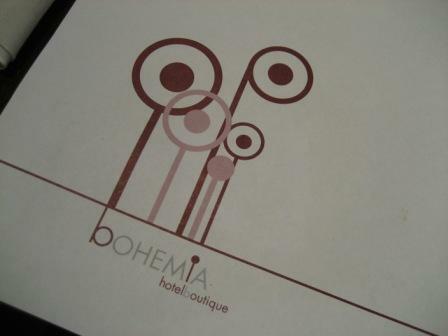 If you are interested in lodging or tours of Mendoza–or a superb dinner–contact Emir at Bohemia Boutique Hotel. 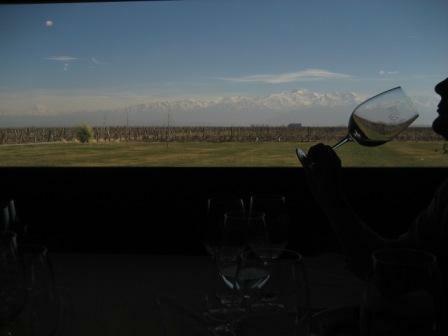 I love the picture of the wine glass and the Andes. Fantastic! And thanks for the info about the place to stay. It’s always hard to give advice about Mendoza. Feels like each time I’m there, I’m in a totally new place. It is a lovely, small city–very quiet. 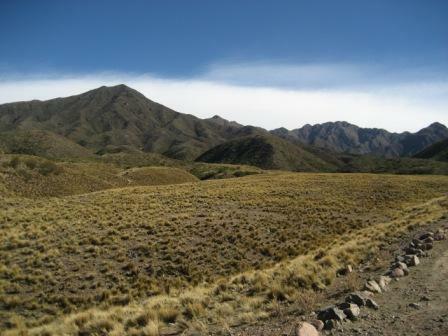 The bodegas in surrounding towns and activities in the Andes are the main draw.